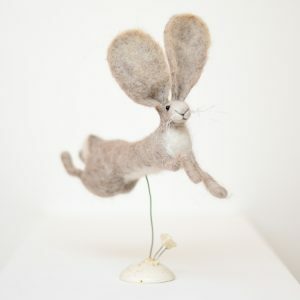 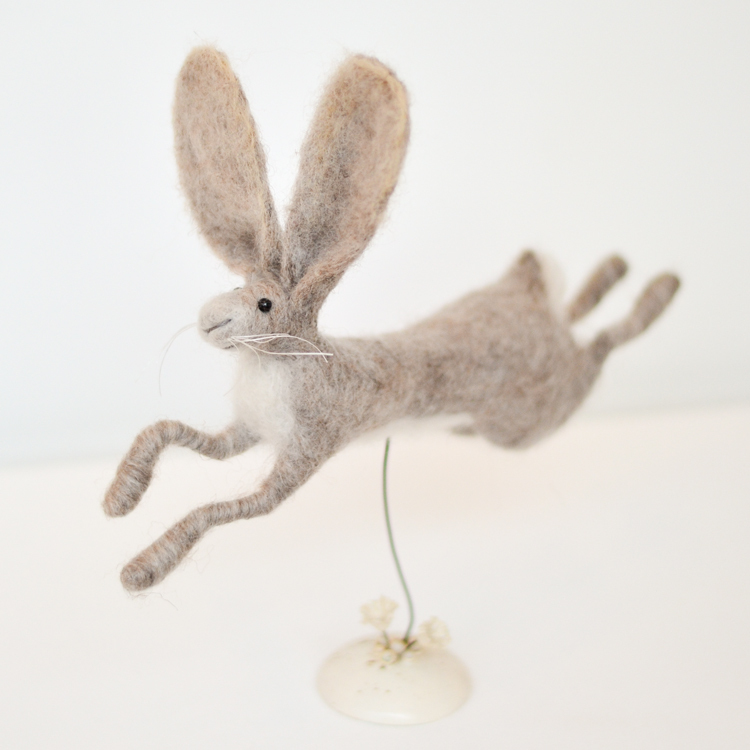 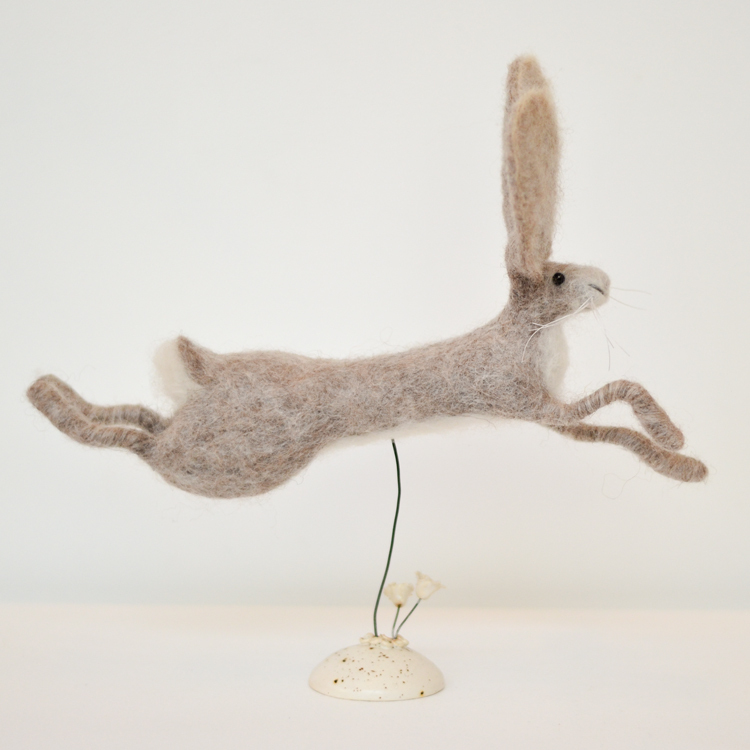 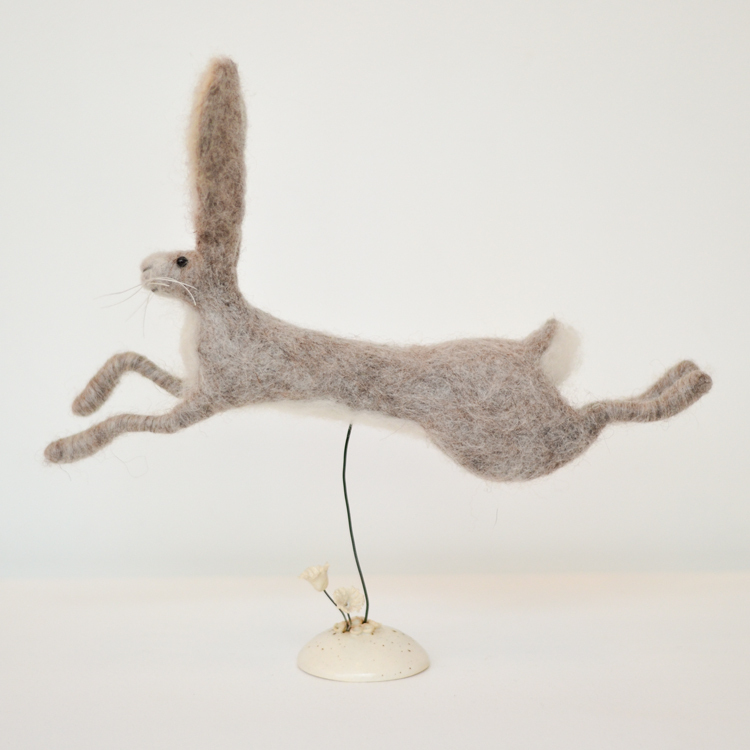 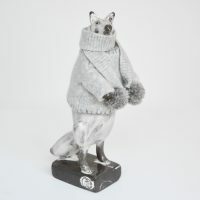 Created from needle felt work this smiling leaping hare is suspended with wire on a ceramic base featuring ceramic flowers. 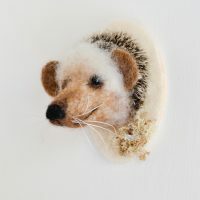 This little fellow has a cheerful caricature. 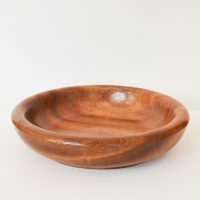 Ceramic Base with two small ceramic flowers: diameter 5.5 cm, height 2.5 cm. 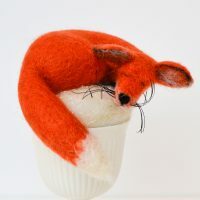 Felted Hare Size: L 28 cm, H 27 cm, W 5.5 cm.